Tigers are fierce and majestic animals. The largest of any wild cat in the world, they are powerful predators with a roar that can be heard as far as two miles away. These creatures demand respect, and they get it. The tiger is the most popular animal in the world. But its strikingly beautiful, striped fur also makes it a target for poachers, and has led to dwindling numbers. 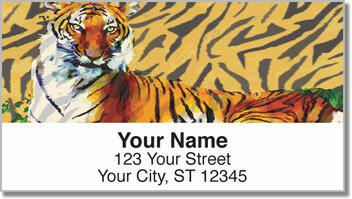 Let these unique address labels remind you that we must protect this special species. 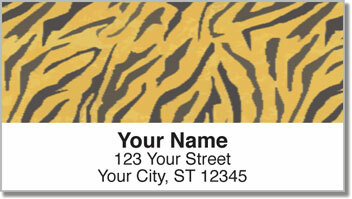 Your new labels will give your mail an amazing finishing touch. But they'll also help you save time. Since they are self-adhesive, all you have to do is peel and place them on every envelope. 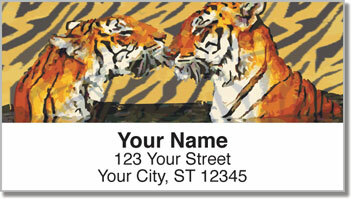 Get your very own Tiger Address Labels today! 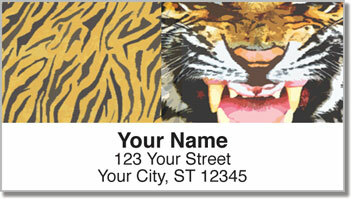 Complete your order with an eye-catching set of matching personal checks.